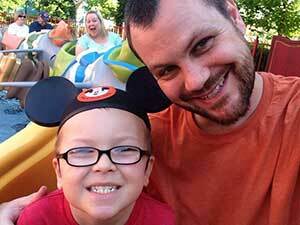 We took our first trip to Disney World in May of 2014. The planning process seemed overwhelming for us since we'd never been there before. Kat did an outstanding job helping us determine the right resort for our budget and found us the best price. Her recommendations on resorts, restaurants, and activities were invaluable to us! My 6 year old son loved the adorable autograph book she created for him- he is pretty shy, so it was a great ice breaker between him and the characters. We had loads of questions and Kat always had a prompt answer. I highly recommend using Kat to plan any Disney related trip!